Lee studied fine arts at William & Mary in Williamsburg VA and concentrated in sculpture under Carl Rosenberg. He then went on to medical school and a career as a cardiac surgeon, continuing to sculp on the side. After leaving his practice he spent three years teaching anatomy in the Caribbean at the Medical University of the Americas. 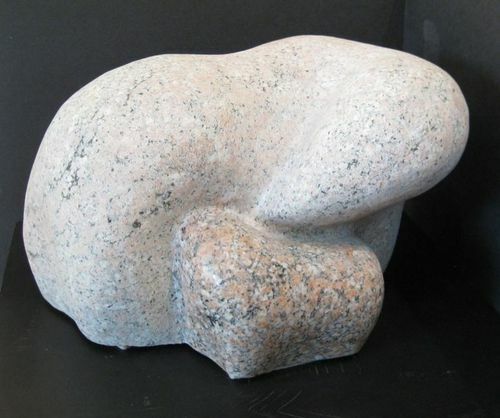 Since returning, Lee has done some portrait and figure sculpture but has concentrated on representative sculptures in granite, focusing on the relationship of the subjects of the sculpture (parent and offspring, cat and implied mouse). For more information about the artist go to: www.ellisonsculpture.com.